Oakley Elementary School teacher April Alexander. 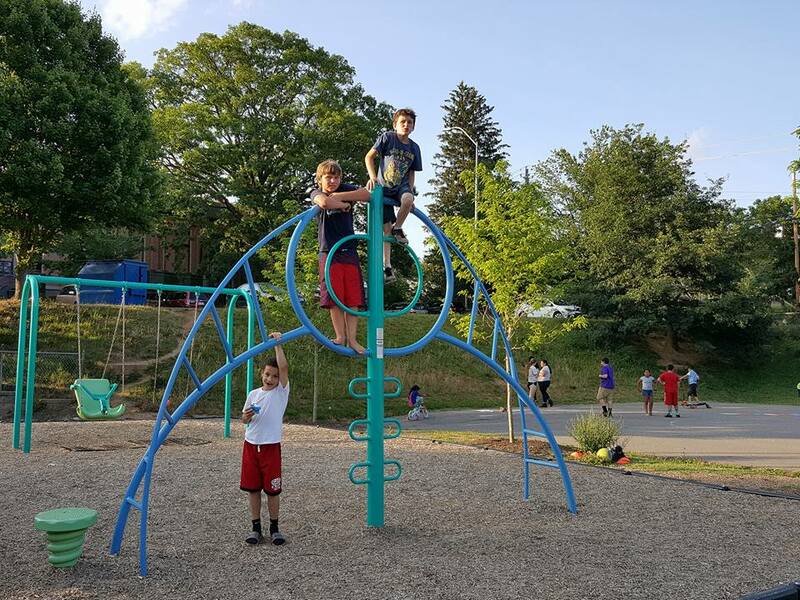 In June 2015, 125 employees from Blue Cross and Blue Shield of North Carolina (BCBSNC) joined 100 volunteers from the community surrounding Oakley Elementary School in Asheville to build a KaBOOM! playground to replace the aging equipment on the school grounds. On June 24, 2016, Oakley held a block party to celebrate the new playground’s first birthday. April Alexander, who teaches fourth grade at Oakley, was instrumental in the school’s selection for a BCBSNC-sponsored KaBOOM! playground. 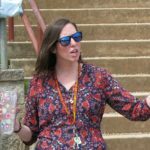 She shares her thoughts on what the playground has meant to Oakley and its neighbors in Asheville. 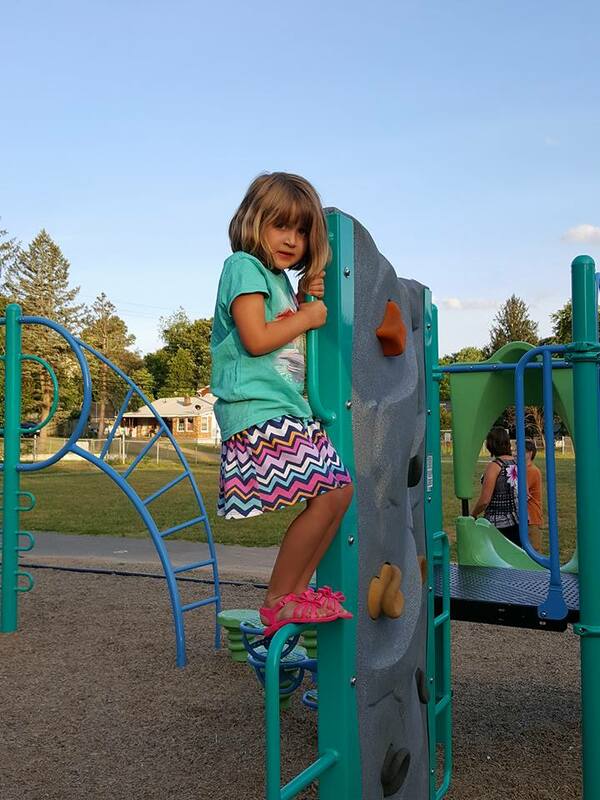 Two years ago, the playground at Oakley Elementary School was not a place where our children could learn, grow and explore the many joys of childhood. A good portion of the equipment was old and broken and the play space wasn’t inclusive for children with disabilities. 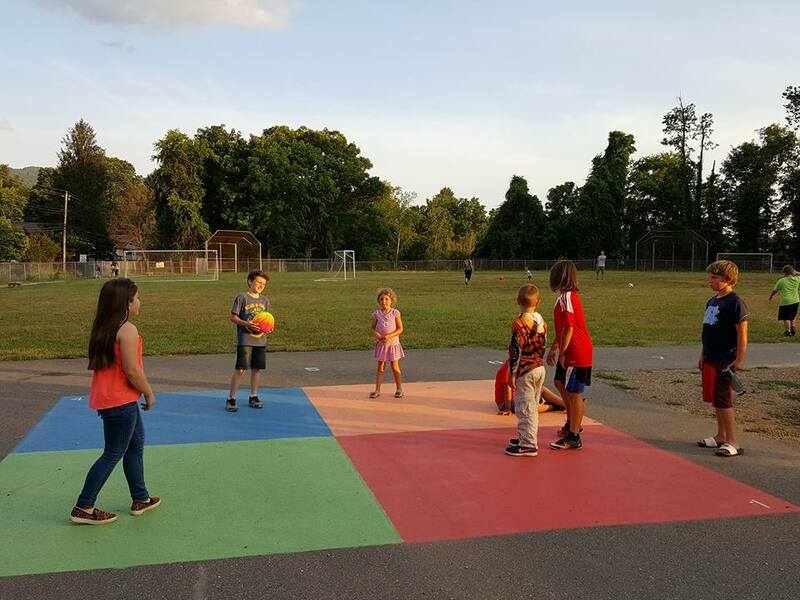 After school hours, families didn’t gather on the playground to socialize, play with their children and enjoy a game of four-square or kickball. You see, our playground had become a sad shell of what used to be. KaBOOM! 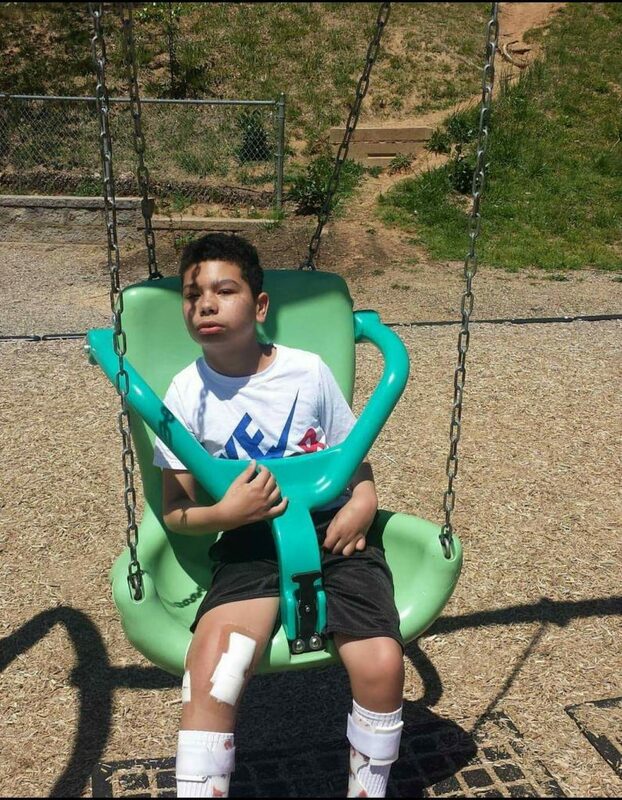 and BCBSNC have given life, hope and dreams to Oakley through our new dream playground! On build day, we watched as hundreds of volunteers came together to help make our dream playground a reality. Since then, we have continued the dream! 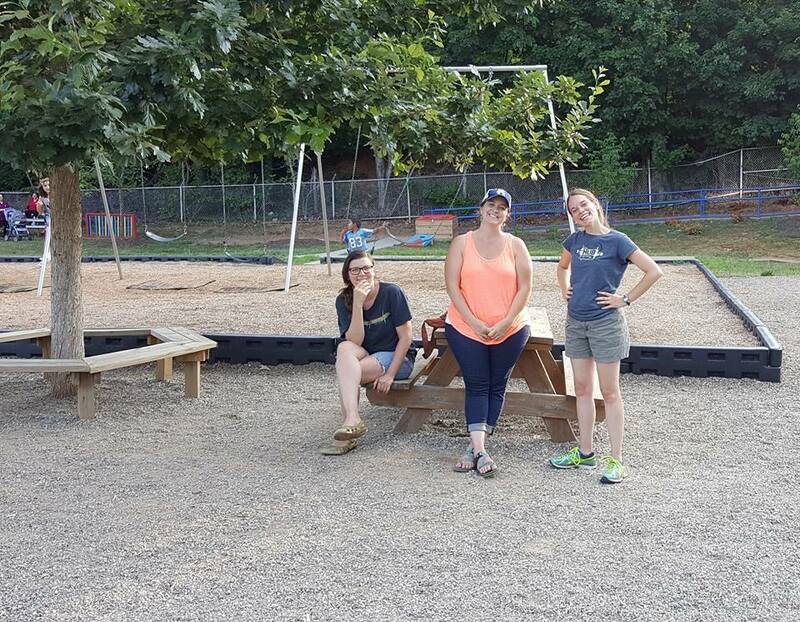 With the help of BCBSNC and landscape architect Ryan Blau, a beautiful landscaping design has been a refreshing addition to the new play space. 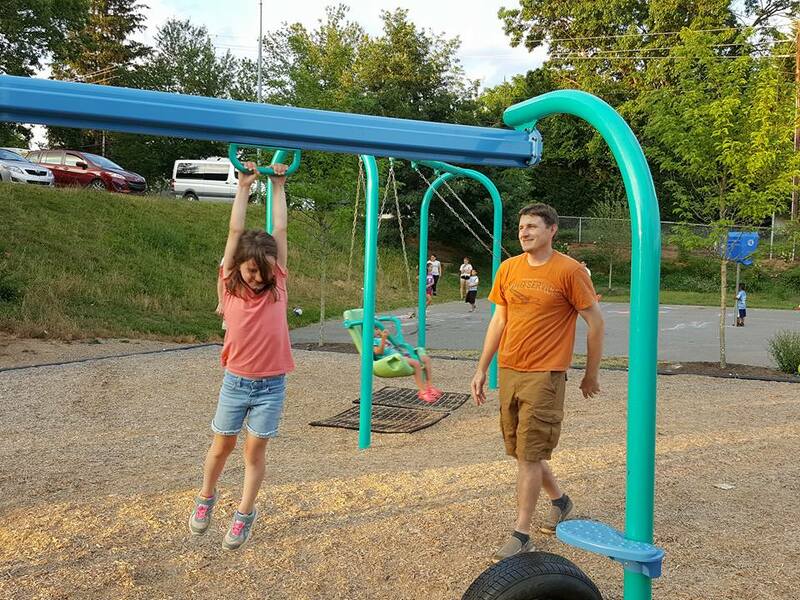 Stephen Janes, one of our neighborhood’s supportive parents, headed up the campaign to raise money for an additional swing set, and by December 2015 a six-swing bay was installed! Now, the Oakley playground is a safe, inclusive space where children and families come to play, learn, discover and explore. During daylight hours, the playground is never empty. It has become the hub of the Oakley community, a place where our children get to really be children; a place where once again, adults can soak up the joys of childhood. Two years ago, I found myself dreaming about all of the ways a new playground could positively impact the Oakley community. This past year, I watched as our new community play space allowed the dreams of so many others to come true. What a gift this journey has been. 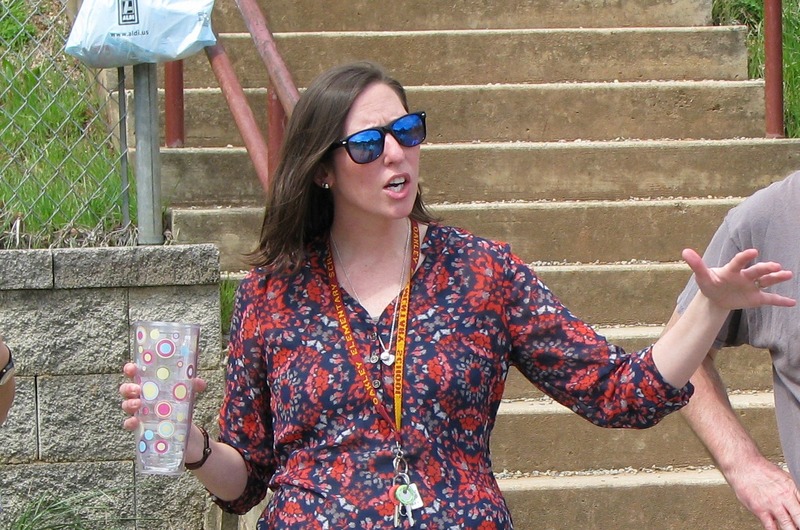 Oakley Elementary School teacher April Alexander takes part in a design session prior to the playground build. KaBOOM! 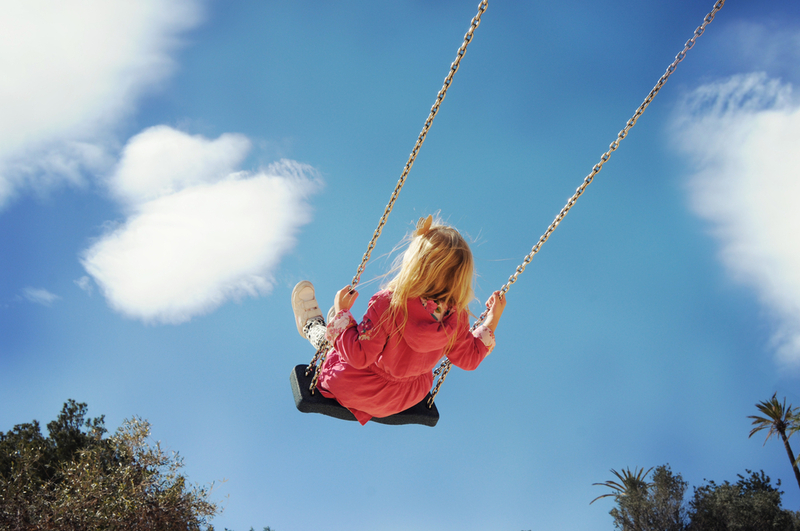 is the national nonprofit dedicated to giving all kids the childhood they deserve, filled with balanced and active play, so they can thrive. BCBSNC has worked with KaBOOM! on the funding and construction of eight playgrounds in North Carolina.